Hello my blogging friends - I'm here today to tell you that even hippie liberals like myself care deeply about our troops!! 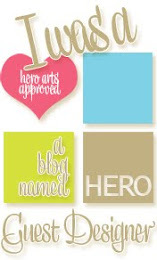 :-) I was so honored when I got an email from Cards for Heroes, asking if I'd like to participate in their blog hop this weekend. I was not familiar with this organization - but wow, what a great group of people!! CFH's mission is to support our nation's armed forces by sending blank greeting cards to write home on, as well as cards of gratitude to encourage them. How many of us create card after card, many of which end up just sitting in a box somewhere in our craft room?? I encourage you to take some time this weekend and look through your stash, put a few together and get them sent off to CFH! Or, spend your stamping time today creating some new hand-stamped happiness to send! Check their website, there are some guidelines - for example, the cards cannot contain glitter, as it can be a safety hazard! You also should not send potentially offensive cards. And I do realize the card I'm sharing today has the potential to offend, so I will not be sending this particular one to CFH. But it will go to a soldier in Iraq! Last night as I was banging my head on the desk, trying to decide what to create for this hop, a chat window on Facebook popped up with a message from my friend Gary. Gary and I have different political views, but we are able to laugh about it - and he was actually teasing me about something I had posted. Gary also served in Iraq, so I mentioned what I was working on. He told me that when he was in Iraq he received cards like this and really appreciated it - so that of course warmed my heart, to hear that feedback. Then I told him, jokingly, that I was going to make a hippie card to show that even liberals like me care about this - and he told me he knew a fellow hippie liberal currently serving in Iraq who would love the card!! So then I had to make it!! So this particular card will be going to an Air Force officer stationed in Iraq, who was thrilled when he got to meet President Obama and Rahm Emanuel during their recent visit to Baghdad. I don't know this man, but I am so completely thankful for what he is doing for our country, and I plan to tell him so. I'll write a note to him on a separate sheet of paper, so he can in turn use this card to send to one of his own hippie liberal friends back home who will appreciate it. And then I'm going to go through my card stash and find another stack of cards to send off to Cards for Heroes. I can't think of a better way to spend my Memorial Day weekend!! If you'd like to send a note of gratitude to a soldier, visit the AnyHero page at the CFH website. And now I'm sure you are anxious to keep hopping, and I'm thrilled to be able to link to one of my absolute stamping idols, Leigh at Sunflower Studio!! I'm sure you're in for a treat, her work is always fantastic!! And if you just happened upon my blog here in mid-hop, I encourage you to go back and start at the beginning, at Cards for Heroes. Thanks for stopping by today!! Libby, you are too funny! This is a real crack-up---and I am sure he will appreciate it! I am participating too! Thanks so much for being a part of this great hop! We hippy liberals have to stick together, like you I'm also a hippy liberal supporting CFH, and a member of the blog hop. Libby, this so flippin cute! TFS! Love the card and the story - love being part of the blog hop too! 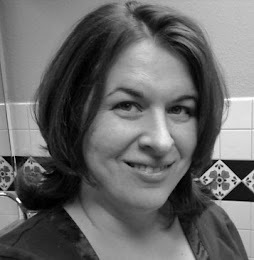 LOVE your site and I'm an old hippie from the 70's! Please keep doing what you're doing for CFH. It's such an amazing cause. Thank you for letting me enjoy your blog. love your hippie card, way too cute! your card is cute and it really makes me smile! Great story from a hippie at heart. Loved this card. I am sure our service members would not be offended. Maybe the old leaders but not our young service members. Thanks for sharing. Libby - I just adore that card (and by the way it would be fine for Cards for Heroes FYI). "Jerry" is adorable! Thank you so much for participating in the blog hop and for your support of Cards For Heroes! Great Jerry Garcia card (or that's who it looks like to me). How funny that you get to link to Leigh!!! This guy is hilarious! Love it! Libby, I love your hippy Uncle Sam. Happy Memorial day, thanks for supporting cards for heroes! I looove your stamp, is simply awesome great job on it!!! Love your card! Have a great Memorial Day! Thanks for supporting Cards for Heroes and for sending this little Red/White/Blue hippie dude to an AirForce officer that will appreciate it. Super cute!!! Thanks for supporting CFH! This card is hilarious! Definitely brought a smile to my face - I know it will for the guy in Iraq as well. Great job! Hey Libby 3 on the Label 3! From one liberal hippie cowgirl to another, what a groovy card and an even groovier stamper! MWAH! LOL - hippie liberal here too! love your card and your sense of humor...even conservatives know wonderful art when they see it. I'm sure your card will put a smile on the face of the recipient. My aunt and I are on opposite ends of the spectrum politically but she is the first to be proud of my son, a Marine, serving in Iraq. Thanks for supporting our heroes! Oh my word! That stamp is hysterical! Love your card and whoever ends up with it will too. Love your sense of humor. Love this funky card! Very creative! TFS! This is one of the most original cards I've seen all day! I know that the soldiers will appreciate your whimsy! Your card is so cool!! So funny and the card is awesome. Thanks for the post! Love how original and detailed this card is. Thanks so much for posting!! and I'm still laughing and I still can't make it make sense. 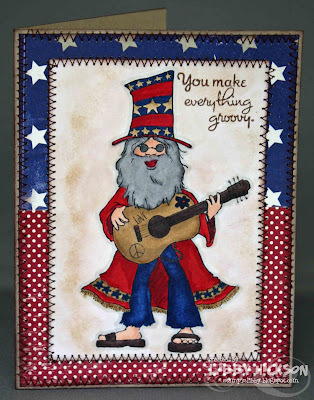 I love your hippy dippy patriotic card, especially with the muted colors on your fabulous background. Gosh, I'm having a flashback to Woodstock! Oh my gosh so awesome! Love it! haha... they're going to just LOVE this one! your card make me laugh. Awesome work! Libby - You're such a hoot! I love, love your card, (yes, I'm a bit of a liberal, too). What a great cause, and the CFH site rocks. Thanks for sharing your story! It gave me a smile. I love your card!!! what a great story too!!! TFS! A hipping Uncle Sam! Too cute! Thank you for participating! Very different. Cute card! Thanks for sharing! Very cute and very original! TFS! From one hippie liberal to another...Right On Sistah! Love the card and the post. Thanks for saying yes to this fun hop and Groovy organization. what a groovy card! lol thanks for sharing, I love it. Oh, this is just fantastic! I love your image! tfs! The inspiration I'm getting seeing all this creativity on the bloghop is fantastic! Funny card- a real treat for those of us "of a certain age", lol! Love the hippie! Very cute! I am sure there are many liberal thinking men/women in the military. You don't have to be liberal to appreciate a hippie...lol....just someone from my generation. What each side doesn't think about the other is that we are all patriots and love this country. God Bless Our Military. I love this card! Thank you for taking the time to participate in this. You should be proud. LOL! Love that card. As a child of the 70's, that was great. Hope you had a chance to read my post about my dad! That has to be my favorite card so far!! Love the groovy dude. We just all have to agree that the soldiers matter...that's all. Funny card...Thanks for being part of cards for heros. Cute card - thanks for supporting our troops! America is made up of people from all walks of life and the soldiers fight for all of our freedoms. I appreciate your honesty and your participation in this hop. The card is fantastic! What a great card, I love it. Thank you for supporting our troops. You are too funny and that card is hilarious! Thanks for supporting CFH. You have brought a huge smile to an aging hippie's face. The card is of course adorable. Sunshine and rainbows always for supporting our troops. Toooo funny! Yeah, there's going to be a soldier who will LOVE that card, I'm sure of it!! Heehee!! 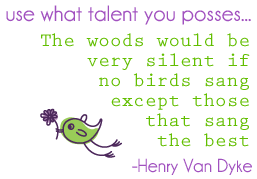 Thanks for sharing the story---and for being part of this amazing bloghop! the invite to your blog and your participation sending your creativity and a piece of your heart. Love your card!!! thanks for sharing your story.... I love all that I am reading during the hop. Love the card. Since I am an aging "Hippie" I can identify. Thanks for sharing. Wonderful card! It definitely put a smile on my face. Someone is going to love it. This is a great cause. How fun. That hippy really brings a smile. Thanks for sharing and for your support of our troops. Happy Memorial Day. Too funny! Thanks for helping spread the word about CFH. Enjoy your Memorial Day. I think your hippie card is just ADORABLE!!! I'm glad it will be going to someone who will appreciate it, I bet it will get LOTS of smiles!!! lol...I love that card...that stamp is too cute! love odd ball cards - this rocks!! Well now no flashbacks allowed. This old time hippie loves your card. She also loves those who are serving our country regardless of peril to themselves in these times. So glad to have you participate, this was my first time, too! Love the card, we are so blessed to have so many serve the country. Tee hee....hippie liberal!! Super cute card, Libby! !